Do you think of opera when you hear Bizet’s Carmen or do you think of baseball? 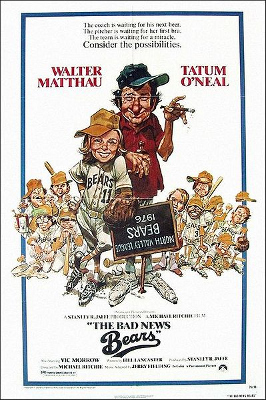 This week marks the 40th anniversary of The Bad News Bears, one of my all-time favourite movies and what I think is arguably, one of the best sports movies ever. I don’t have anything under the lids for this movie other than the memories. In 1976 I was 7 years old and we lived in a small town. A family friend owned the local movie theatre which meant we saw a lot of movies for free. That year was no exception with releases like Rocky and King Kong. 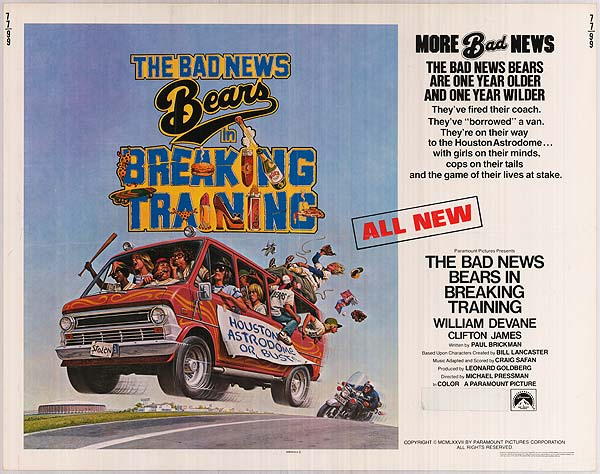 When The Bad News Bears came out, my brother and I saw it a bunch of times. There was something about this movie that I loved right off the bat. I wasn’t into sports and didn’t play Little League. It was kind of like a modern day Little Rascals but with a lot more swear words, although I think everyone said crud. Perhaps it was early on-set puberty kicking in and this movie was filled with boys. 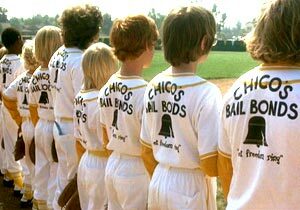 I had no idea what a bail bond was but yellow and white uniforms still make me think of Chico’s Bail Bonds. Plus there was a TV spin off which I vaguely remember watching. But I definitely didn’t see the 2005 remake even though Richard Linklater directed it. Although technically not sequels, these movies are definitely off-spring of the original: Bad Santa, Bad Teacher, Bad Grandpa. When my hubs and I got married, we named the reception tables after ten of our favourite movies instead of using numbers 1-10. We sat at The Godfather, while guests sat at The Bad News Bears. Recently, I re-watched the movie promo and I cringed – were those racist slurs in a trailer? How was it rated PG? It’s hard to reconcile a beloved movie from my childhood with what would be considered so un-PC now. Our 10 year old wants to see Bad News Bears but I think the viewer discretion disclaimer would have to go something like this: Warning: This movie contains scenes that will be offensive to just about everybody even if you first saw it in 1976. Yes things were a lot different then but that doesn’t mean you can say those kinds of things now. Viewers may laugh at kids having a beer but this does not mean you condone underage drinking. Scenes of children smoking and flirting may have seemed innocent then and but is definitely wrong now. Viewer discretion is advised. 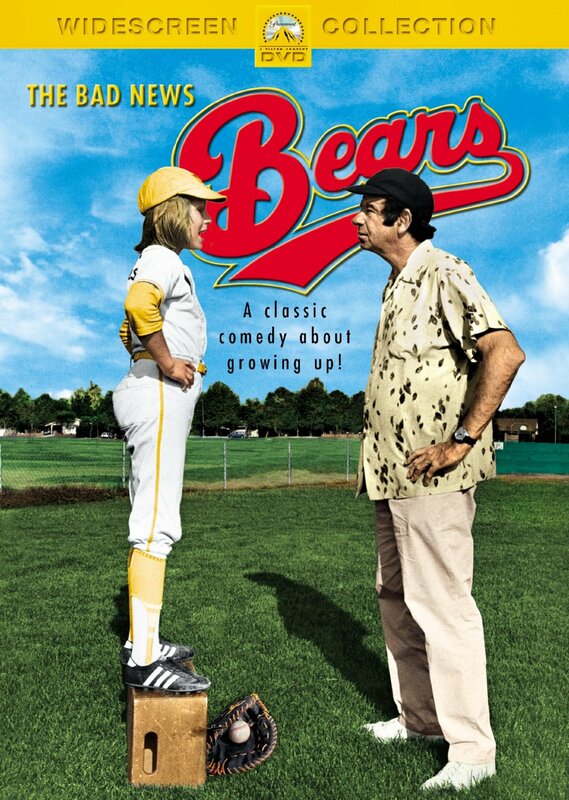 Say what you want about Bad News Bears – I still love this movie. Cue the orchestra. P.S. Check out Dan Epstein’s excellent article on Rolling Stone about The Bad News Bears.